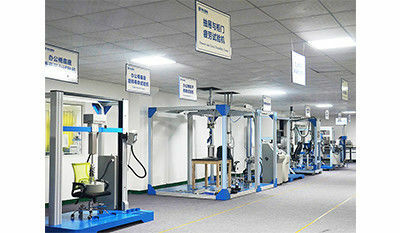 Haida has 4 main independent systems of R&D, Production, Marketing & Sales, Measurement & Calibration; 4 bases of production and research; 10 PhD supervisors as consultants; oven 10 items of High-tech products; more than 50 items of product patents and 300 staffs. 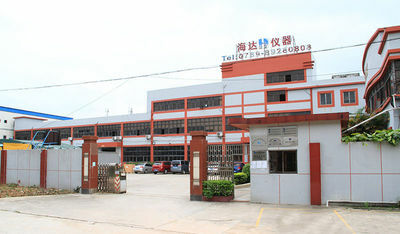 Haida has it's own factory,and you can visit it. 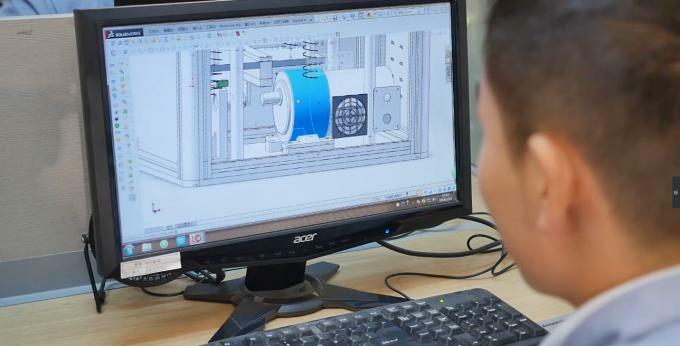 There are three ways to deliver the test machines:air,sea and ground transportation. 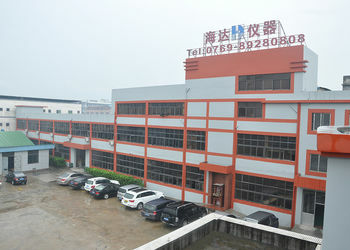 Haida has a good team to serve you 24 hours,you can contact us before,middle and after sales. 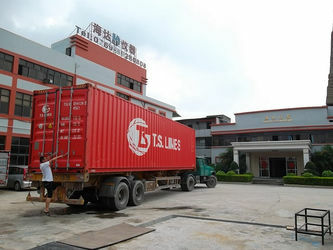 Haida have sufficient inventory, delivery on time during the delivery period. 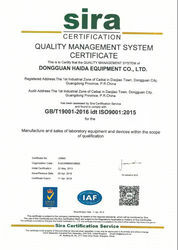 Haida has a large and clean test,you can see all the test machines there. 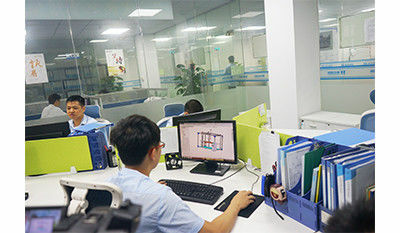 Practice the true knowledge, our products through the customer inspection. 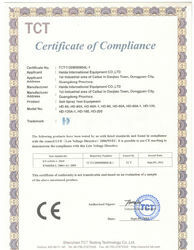 The CE mark is a kind of safety certification mark, which represents CONFORMITE EUROPEENNE and is also a mandatory requirement of EU law on products. 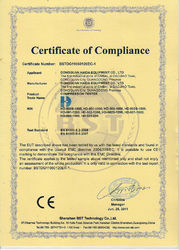 ISO does not refer to a standard, but a group of standards, collectively known as the standard responsible for the development of quality management and quality assurance techniques. 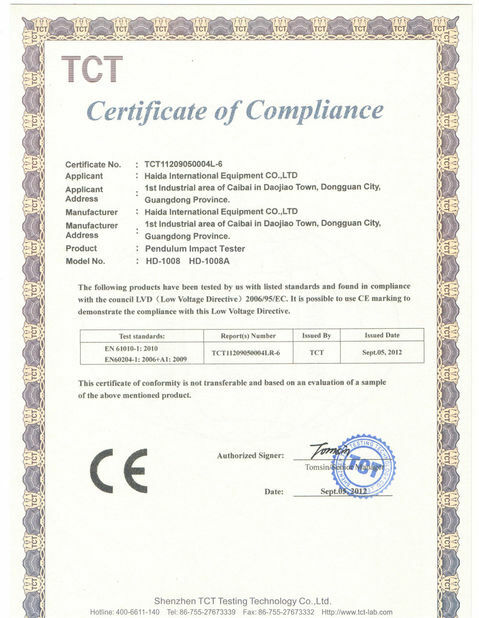 The certificate of compliance refers to the manufacturer’s express warranty that the manufacturer’s product quality is inspected and that it is attached to the product or product packaging. Haida is professionally engaged in production and sales of various kinds of testing equipment. 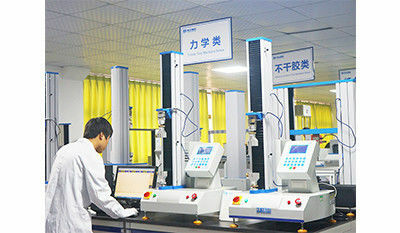 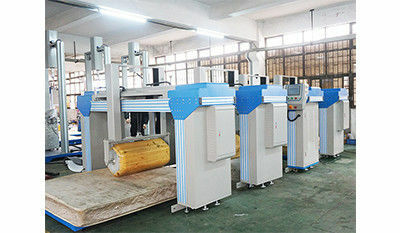 Main series include Paper & Package Test Machines (P&P), Universal Test Machines (UTM), Foam & Furniture & Optical Test Machines (FFO) and Accelerated Environment Test Chamber (AES). 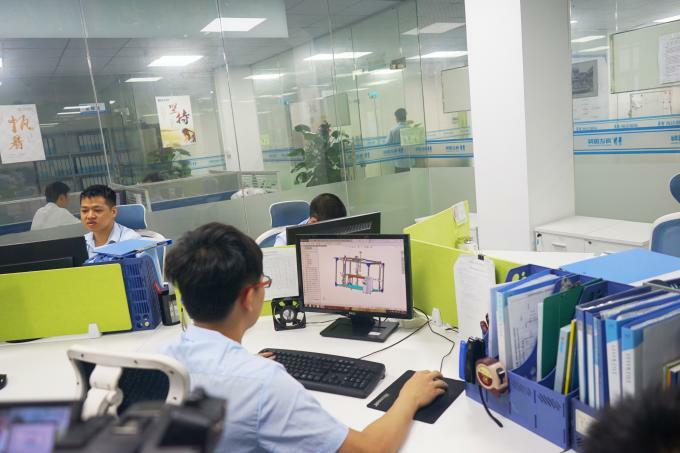 In 2007, Haida merged with Mechanical Electric HK Ltd. and introduced Senior Technician Director from HK to set up our own R&D Center.